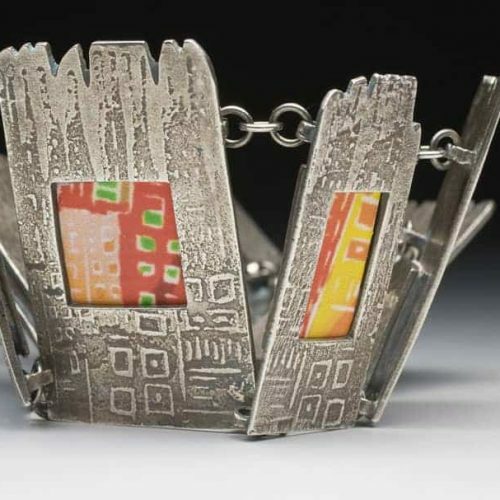 My Cityscape Bracelet, Pod Ring and Destiny Brooch were chosen to be part of the Crafthaus New Directions: Powder Metallurgy (Metal Clay) in a Sheet Metal World exhibit. ​New Directions: Powder Metallurgy (Metal Clay) in a Sheet Metal World Part 1 is the first of a multi-segmented exhibition celebrating the unique personality that metal clay brings in the form of jewelry, vessels, functional and decorative objects. 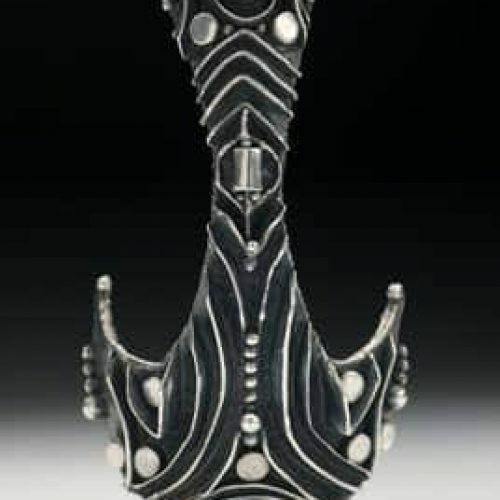 New Directions: Powder Metallurgy (Metal Clay) in a Sheet Metal World Part 2 is on display on Crafthaus. 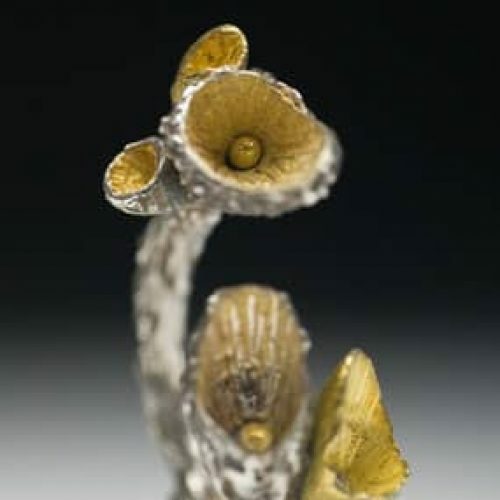 A print exhibition of the entire Powder Metallurgy exhibition was on view at the Metal Clay World Conference to be held in Chicago July 14 -17, 2011. 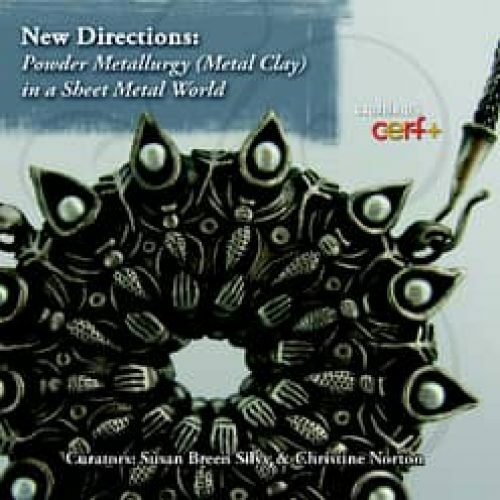 The exhibition catalog titled, New Directions: Powder Metallurgy (Metal Clay) in a Sheet Metal World is available to order by clicking here. 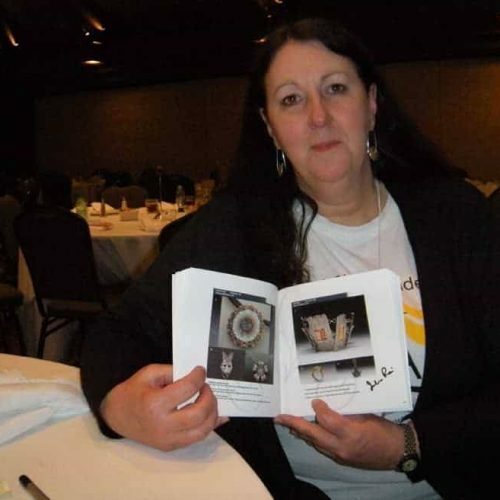 Below is a picture of me with my page from the catalog!